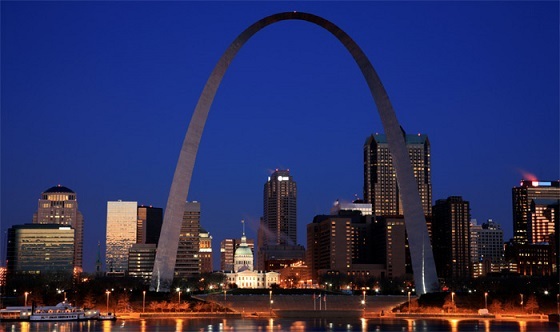 In 2008, Forbes Magazine ranked St. Louis the 3rd best place to buy a home in the United States. Relocating to a new company can be both exciting and challenging. At Janet McAfee, we understand what clients require to make their transitions to a new home successful. Our clients directly benefit from a reputable, established network of contacts and the firm's deep-rooted community presence. We look forward to serving you! To request a Relocation Guide, please email Susan Lewis, Relocation Director at susanlewis@janetmcafee.com . Director of Relocation Services always available to assist you. Demonstrated success in matching clients with qualified Relocation Specialists who suit personal preferences and requirements. Comprehensive relocation packets, maps, area attractions customized for individual client searches. Personalized tours of the many neighborhood options available in St. Louis. References to local resources to facilitate a successful move. Arrangements with preferred hospitality and transportation partners at corporate rates. Temporary rental housing assistance with skilled professionals. Access to community involvement resources, schools and employment contacts. An exclusive affiliate of Leading Real Estate Companies of the World and Luxury Portfolio Fine Property Collection, a premier global referral network comprised of the best-known local and regional independent real estate names. National and international real estate Broker contacts. All services provided by a destination Broker committed to the highest standards of service and professionalism. Advanced scheduling of area tours and timely access to critical information and local resources. Janet McAfee Real Estate has been selected for membership in Leading Real Estate Companies of the World®, a prestigious global community of real estate companies awarded membership based upon rigorous standards for service and performance. It is a pedigree denoting the very best companies with the most qualified clientele. Leading Real Estate Companies of the World is the largest broker-to-broker referral network nationwide, surpassing $351 billion in sales last year with 550 firms in 4,000 offices with 128,000 associates. For Sellers, this means the greatest exposure to relocating buyers throughout the country. As soon as your home is posted to our website, it is immediately fed into Realtor.com, ReloHomeSearch.com, and linked to top real estate firms in the country. 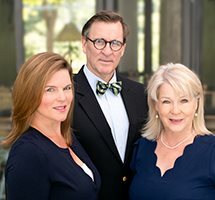 Janet McAfee Inc. is St. Louis' exclusive Luxury Portfolio affiliate, a select group of Leading independent brokers distinguished by an affluent market niche and million dollar home sales. Our listings over $750,000 are displayed on LuxuryPortfolio.com website. Our affiliation with Who's Who in Luxury Real Estate provides a relationship with 300 firms, representing 130,000 agents in 70 countries worldwide. Each firm selected for this exclusive organization has been recognized as a leader in luxury home marketing. Each firm has demonstrated their commitment to professionalism, quality service and customer satisfaction. Luxury properties are displayed on LuxuryPortfolio.com and the Wall Street Journal's website wsj.com. Janet McAfee Inc. is a member of Worldwide ERC, the Employee Relocation Council. We provide full service corporate relocation services including home finding services, pre-marketing assistance for the sale of homes, temporary living assistance, free relocation packets and area tours.